Haroun, I’m not going to argue about your 10 reasons not to vote for Nassif let it be right or wrong despite some political differences between us, but I have a question about the last reason (he is from Jieh), if it is not too much trouble, can you please elaborate and explain your point and how did you reach that conclusion. Thanks in advance. Don’t get me wrong, I am extremely proud to be from Jieh and do wish everyone from my town prosperity and success in all they do. When you hear Mukhtara you think of Jumblatt, and when you hear Deir El Kamar you think Chamoun, whether we like it or not these associations stick and the town becomes associated with the person. I think Jieh is much better than to be associated with a politician. In Lebanon you can't help it, when an MP is elected, a new dynamic engulf his town and somehow it becomes filled with billboards, pictures and signs of praise for him even if only a tiny fraction of the town people supports him. Jieh as I know it is a modest town and a source of pride to all its citizens, I like it to stay that way. Anyway... Aoun said that he will not have on his ticket anyone who couldn't pull his weight with at least a mayor seat... 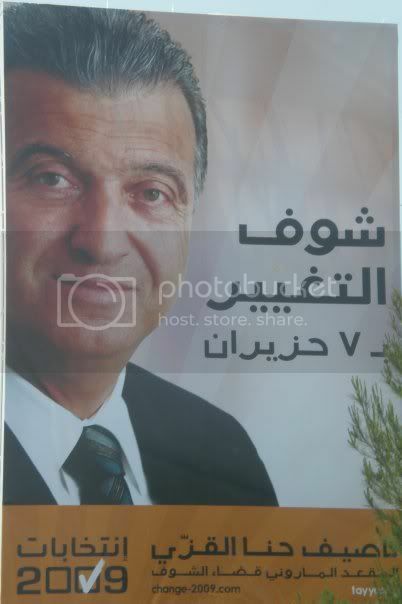 I really don't think Mr Nassif is able to pull a mayor seat whether in jieh or otherwise. while he may be educated and eloquent, neither public service or politics are his strong suit. so chances of him getting anywhere in the chouf are slim and none... and slim is on vacation. AND Mayor or no Mayor, Hezbollah is the power broker in Jieh , and since the local debates have national origins, Nassif will be given that strength locally. GET USED TO IT MY FREIND. “ Love and pray for your Jieh? It might love you back”. Ouff! just like that you want people to “GET USED TO IT”? This dream of yours and Nassif’s is a nightmare and if I know jieh, I am confident that it will do whatever it can to keep this terrifying nightmare away. 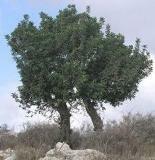 Many dreadful creatures conquered Jieh over the recent years; they all failed to subdue the free spirit of its people. Hizballah terrorist group with all its might and arsenal of Fajrs, zalzals Shahabs-9999 won’t be an exception. Look my friend, when it comes to politics personality and temperament of the candidates matter. Unfortunately, Dr. Nassif associating with terrorists and wanting to ride the election on a Hizballah missile is a huge mistake that will kill everyone’s dream including his. The only might Hezbollah has in jieh is the votes in the elections booths, no flexing muscles, no Fajrs, Zalzals, Shahabs-9999, no firing one bullet, and I’d rather be associated with peaceful Jieh’s Hezbollah instead of the murderer Jumblatt and his Ajaweeds. well...what if i hate the jumblatist, we are still on the same page since we both have nothing but lebanon. on the other hand, i am not sure i would be cheering to a hizb ruled by radicals that are happier being part of syria, love to wave their katyushas at every occasion, and would be ecstatic if the lebanese state was wiped out, just to satisfy the whims they have about hating other nations. I’m talking about the political reality in Jieh, and who has the most votes to translate it into a decision-making and as a source of the main indicator of power. And if you want to call them names do so, but I’m not going to as long as there are armed Palestinians, like the Jibreels and Abou Al Ainein, and the Wahhbies hiding in the camps, and as a reminder the civil war started by the Palestinians and the Lebanese Wahhabies and not by the Shiites. Through out Jieh’s history the Shiites, Hezbollahs or not as far as I know never did harm us like the Palestinians, Ajaweeds, and the Khaleets, as a matter of facts they did the opposite and they were kind to us, although we were rude to them. And please don’t make me elaborate. Finally if you want to have more children go ahead and encourage others to do so, hoping you will never stop saying (mabrouk), but don’t be jealous from the ones who have more. “ Love and pray for your Jieh? It might love you back. Chimpanzee = you're a wonder. Squirrel = you're just hopeless. ام الشعر الاخير فألقاه مناصر التيار السيد طانيوس القزي بقصيدة شملت أبطال المعارضة وأيضاً 7 حزيران والتاريخ الذي يحمل معه لبنان الحلم. Great Work by Tanous Jean Azzi. A Jieh delegation of about 50 tayyar members and supporters was led by AJCC president George Abou Shawki Azzi, special thanks also goes to Samir Naser Azzi. FPM jieh thanks all those who attended. Ouwet from damour and their sunni associates in Naameh and Saadiyet burned, torched and vadalised billboards promoting FPM candidates and those carring Change and reform slogans. Why are you surprised? someone has to cleanup these aounieh iranieh sourieh slogans that aren't more than eyesores polluting the minds as well the side walks. We need the same in Jieh. The widely respected Mufti Jouzou said in Jieh (in Zaroout with Adwan) that those who speak about the marginalization of the Christians should know that there was never any marginalization. He explained that there were always Christian presidents during the Syrian occupation of Lebanon ( presidents appointed by whom their aim to marginalize the Christians ), but some of them sold themselves to the “devil” and became a political tool used against the Christians, (Mufti Jouzou is forgetting that he was one of those tools ). He is forgetting that he is the one who called for resettlement and even naturalization of the murderers Palestinian on the grounds that the nation of Islamic believers (umma) supercedes artificial and transient national boundaries. "We are one umma (Islamic nation); we do not recognize the borders laid down by French imperialism”. what do you think his position is now?. Yo moderator whats going on man? your the only active member there (in lebanon) can you update this thread and keep us informed please? i can understand your position bas eno create a different account use a different alias wa khaberna ya zalame!!! ness e3da 3a naar wa 2esha3et add ma badak.